As we grow, there are certain character qualities of maturity that need to become evident. 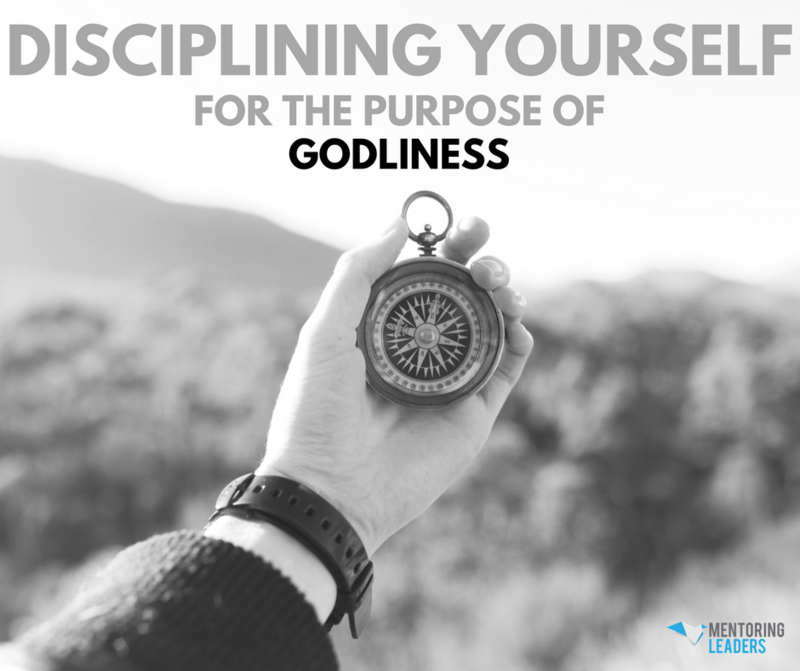 One of those things is learning about how to discipline yourself for the purpose of godliness. We’re going to talk about the state of your heart in which you will make the best decisions and you won’t always feel that wonderful, because there will be times when your emotions will drop and you’ll be in a valley. That is not where you make decisions — even when you are emotionally down, you discipline yourself for the sake of godliness to maintain those decisions that you made when you were close to God and when you were clear-headed. “But have nothing to do with worldly fables fit only for old women; on the other hand, discipline yourself for the purpose of godliness” (1 Tim. 4:7). The Bible says that there are four things you have to do for yourself. It says you have to discipline yourself for godliness, humble yourself, and then it says check yourself to see if you are in the faith, and then encourage yourself. The Bible talks about disciplining yourself and how having a little of the basic principles of life will help you so much. It is particularly helpful when you feel cornered when it comes to life — in a marriage, at your job. Sometimes, you will feel like you do not have a choice. You are put in a situation and you have to do certain things for yourself. When you’re in those tough situations, having a few basics of life really helps. When I travel, there is one thing I know I cannot do without — a GPS unit. But I noticed one thing about that GPS unit — it requires that you plug in an address. In other words, it requires you knowing where you want to go. Once you plug in that address—those coordinates—then the GPS can bring all the technology of low-orbiting satellites to bear. But you have to enter the location first. The Bible talks about the same type of guidance system that relates to our lives. You have to know where you are going. The Bible explains it this way: one of the goals of mankind is to be like God. After all, God created us in His image and He wants us to be like Him. That is what the Bible calls godliness, but when it says to discipline yourself for the purpose of godliness, it means that the address—those goals for your life and what godliness means—has to be intentionally plugged in. It has to be plotted — godliness! You need to write down the picture of what it means to be godly in your attitude and in your family. What down the preferred future — the preferred picture for your life, your disposition, your perceptions, your finances. When you get that down, you need to make sure that you are in the clearest state of mind that you can be in. You have got to be clear headed; you have to be close to God. If all of our decisions were made when we were discouraged, depressed, lonely, tempted and angry, what kind of life do you think we would have? Did you know that 80 percent of our decisions are made with that frame of mind? We make certain decisions and we think they’re good but when things go bad, we make another decision. You do not make decisions in that frame of mind. You want to make sure the coordinate that you plug in is the best. That determination can only happen when you are clear headed and close to God. Discipline yourself for the purpose of godliness and then that discipline becomes a sentence of hope. Hope is a staple in the Bible — there is a hope the Bible talks about that does not disappoint. There was a time when my family was not doing really well, but I had a picture of what I wanted for my family. Even though things were not the best, I ran with that hope about my family. I ran with a bright picture of a bright future. 1 Corinthians 13 says, “… now abides faith, hope and love.” We have heard a lot about faith, we know about love, but we do not hear much about hope. Hope is a picture of a preferred future that you have when you are clear-headed and close to God and you have written it down. That gives you the motivation that keeps you strong even when you do not see results — you run with hope. Hope! Everybody needs hope but that hope is not something that just slips out of heaven. It is something that God is speaking to you about in order to produce godliness in your life. God is asking you to discern what godliness means in your marriage, in your devotion. We must do certain things for ourselves and part of growing up is to discipline ourselves for the purpose of godliness. You will run with hope and you will be on the money!